Epitaxial Ni–Mn–Ga thin films had been grown on MgO (001) by DC magnetron sputtering. And the anomalous Hall effect (AHE), microstructures, magnetism, and magnetoresistance (MR) were investigated. The AHE was measured in the film of Ni47.8Mn30.8Ga21.4 during the martensitic transformation. Meanwhile, the mechanism of the AHE was explained which indicates that the hall resistivity measured in our sample is primarily determined by AHE. The microstructures of the austenite phase and 7M martensite plates at room temperature had been observed on the film of Ni46.7Mn31.7Ga21.6 and Ni47.8Mn30.8Ga21.4, respectively. 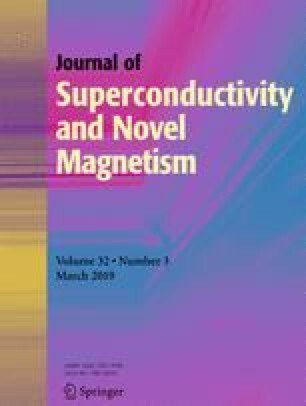 Magnetic measurements reveal that all films possessed the martensitic transformation during the heating and cooling processes. In addition, the MR showed a negative value during the martensitic transformation which is mainly due to the reduction of spin-dependent scattering. This work is supported by the Scientific Activities of Selected Returned Overseas Professionals in Shanxi Province, Shanxi Scholarship Council of China (Grant No.2016-092), Open Project of Key Laboratory for Anisotropy and Texture of Materials in Northeastern University (Grant No. ATM20170003), China Postdoctoral Science Foundation funded project (Grant No. 2015M571285), and Scientific and Technological Innovation Projects for Excellent Researchers of Shanxi Province (No. 201805D211042).